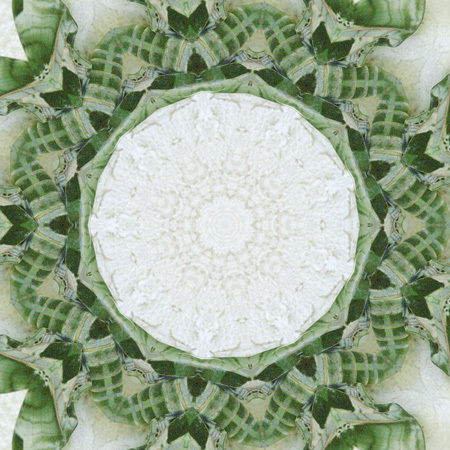 This interesting kaleidoscope was made from an original photo of a moth with green camouflage coloring. Use this printable paper block for iris folding, card making, origami or tea bag paper crafts. Create your own design papers with this camo pattern paper block, or use the single square for paper folding crafts.